Maximum expansion when others don't expand at all. The G2 Research® RIP (Radically Invasive Projectile) is as devastating as it looks, creating 7 separate wound channels that absolutely shred soft targets. It penetrates 9-11", and defeats all known barriers, including sheet metal, sheet rock, windshields and plywood. So it really is "the last round you'll ever need." 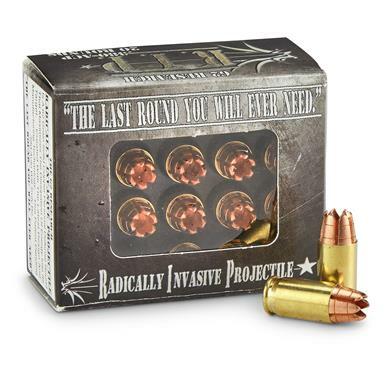 G2 Research RIP, .380 ACP, HP, 62 Grain, 20 Rounds is rated 5.0 out of 5 by 14. 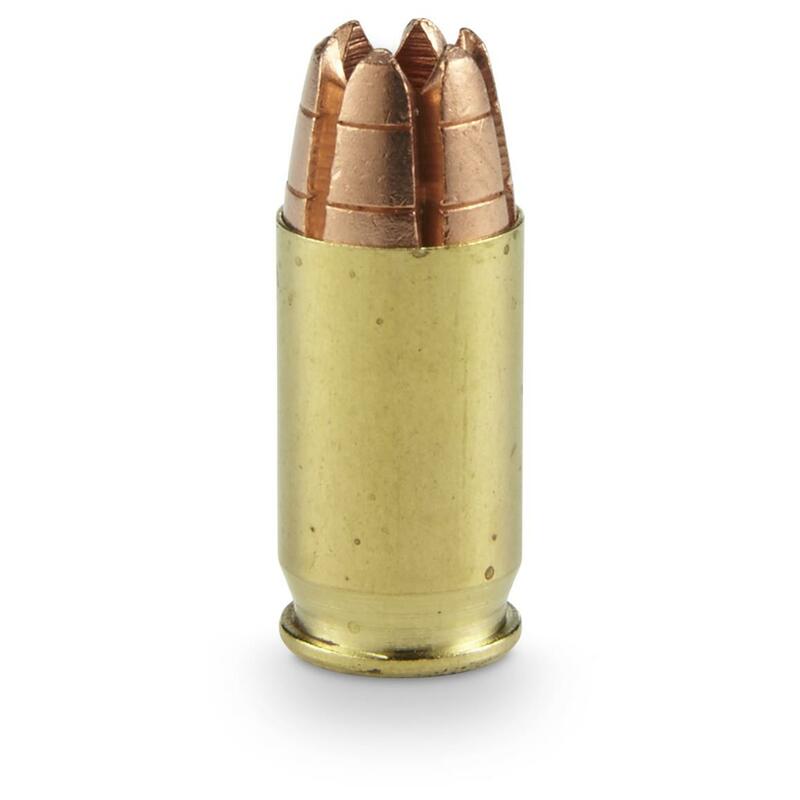 Rated 5 out of 5 by tiny from well made ammo shell are a little pricey, but it is a round designed to do a large amount of damage if needed. Rated 5 out of 5 by eddie in West Ga from Scary looking. Perfect! The only way to "test" this ammo is to use it for it's intended purpose and I pray I never have to do that. So said, my Ruger LCP is now loaded and happy. Rated 5 out of 5 by Fireman from Great Deal I just love these's RIP rounds. They are awesome. Rated 5 out of 5 by Brian from Looks Wicked!! Can't wait to try it out. Been too much cold and snow to make it to the range lately. Rated 5 out of 5 by ATP100 from Switching over to these as my EDC round Kahr P380 Wickedly accurate and great sounding round. As my budget allows I'm shooting these in my P380 (notoriously finicky on ammo) in hope that I can get up to 100 with no malfunctions or failures to feed. They'll then be my carry round, replacing the Win 95gr JHP (600+ rounds with no malfunctions). I believe these will be more effective in stopping a threat. 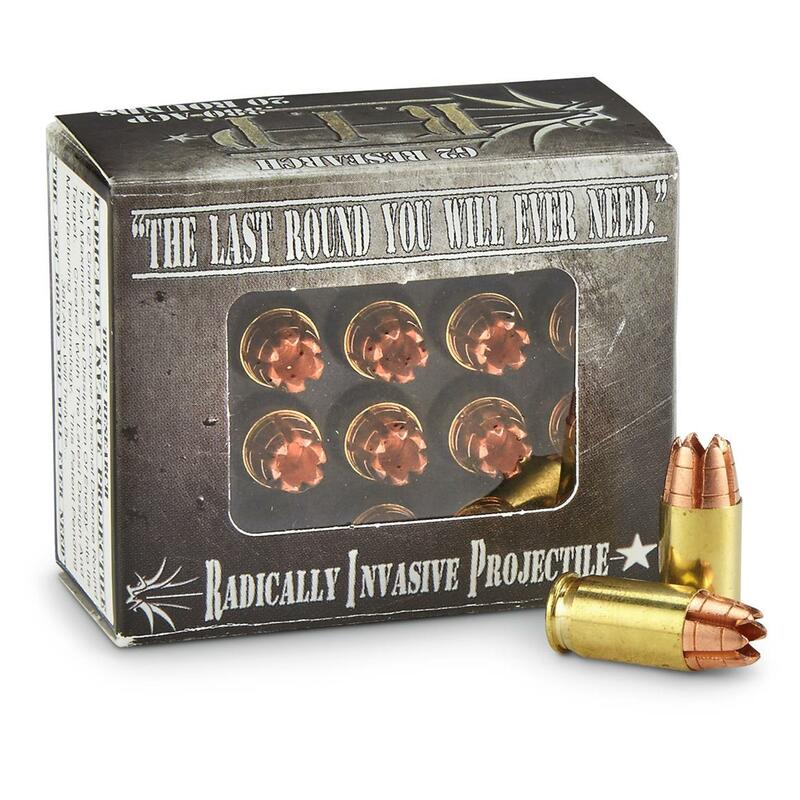 Appreciate the discounted price; you need it with these hi-quality rounds. Rated 5 out of 5 by Rich from Great product. I ran 4 rounds to test its performance. The rounds were fired as fast as I could pull the trigger. No failures or jams. My Walther PPK is picky regarding the ammo it likes and this ammo ran fine! I plan on buying more. Rated 5 out of 5 by Bigdog from R.I.P. Wow it is Awesome, thanks G2 Wow, what a awesome round. Its he last round you will need. I always get low ball prices at the Sportsman Guide. Shipping is always fast, great customer service is A+, Great prices. Thanks to Gary Olan for being the sportsmans friend for all these years. Head to the range with over a century of experience in every cartridge! Maximum expansion to stop the threat cold!